St. John Knits International Inc. is a luxury American fashion brand specializing in women’s knitwear. The company was launched in Irvine, California, in 1962 after introducing a simple-yet-elegant knit dress that quickly became iconic. Since then, St. John has remained a symbol of effortless, refined women’s wear thanks to its classically styled wool and rayon yarn knits, its timeless jackets, and its trademark color palette featuring primary colors. Among the fans of the brand are fashion icons such as Michelle Obama, Angelina Jolie, and Giselle Bundchen. 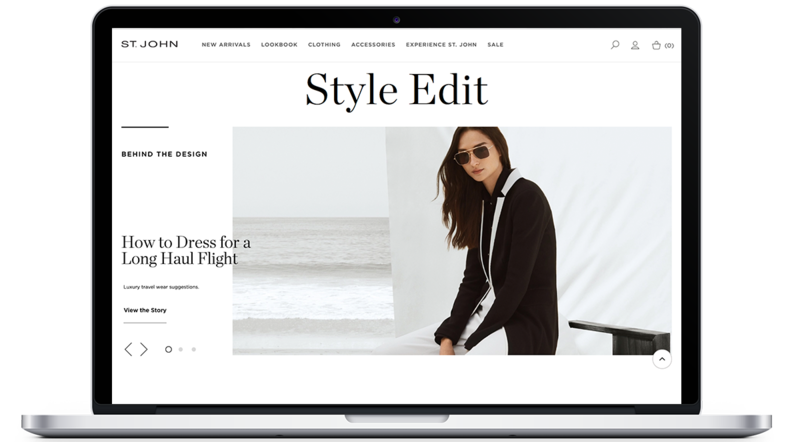 In 2017, after recognizing Corra’s effective results with other high-end fashion brands including Eileen Fisher, Milly, and Brahmin, St. John asked Corra for assistance in designing a new web presence that could better highlight the style and unique appeal of its luxury lines. The company also wished to shift perceptions of its brand to appeal to a younger demographic while still engaging their current customer base. To streamline the overall user experience on St. John’s ecommerce site, Corra migrated it from Magento Enterprise 1.14.1 to Magento Commerce Cloud 2.2.5. 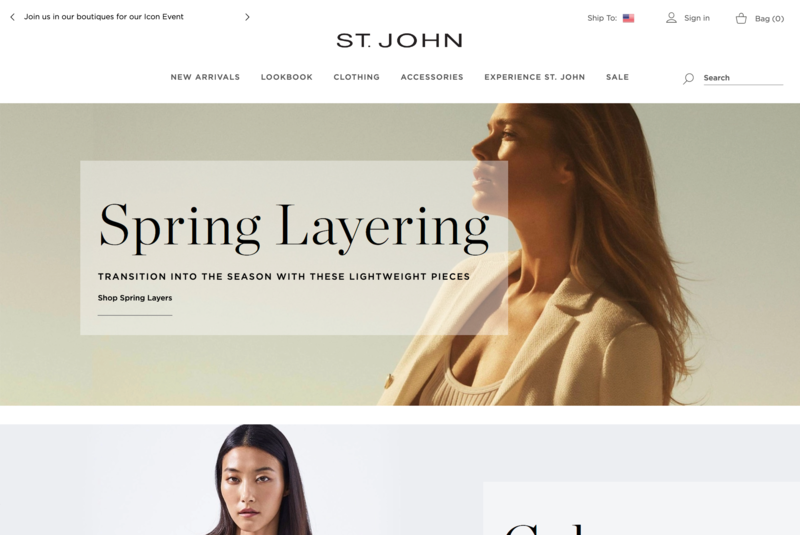 One primary goal was improving ease of navigation, as St. John needed to give shoppers more instant access to product categories without losing its ability to tell compelling stories throughout the site. Corra helped solve that problem by moving away from vertical navigation to a custom-designed mega menu that highlights lifestyle product imagery and encourages visitors to explore the brand. From a visual standpoint, high-quality images and videos create an immersive experience throughout the site, from the home page to the product landing and detail pages. During the development process, Corra used a variety of performance tools, following many best practices to ensure a fast load time. To further leverage St. John’s beautiful product shots, Corra implemented InstantSearch+. Now, when customers use the search bar to find a garment, three product recommendations appear on screen, encouraging further browsing. 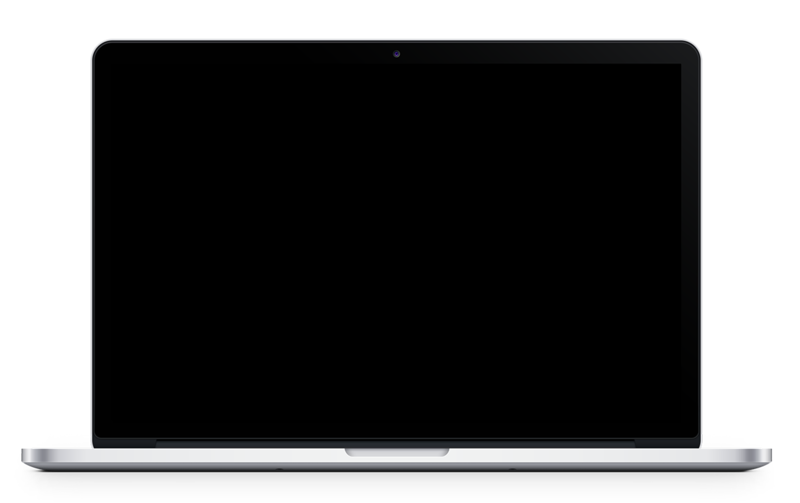 Corra has also integrated BrightCove to easily style HTML5 videos on the homepage and on the product detail page. BrightCove also offers a range of complementary products and services St. John can integrate on demand, including content management, analytics, and advertising. To meet St. John’s goal of reaching a younger demographic, Corra helped the brand further develop its blog known as “Style Edit,” transforming it into a sophisticated digital magazine aimed at inspiring new and recurring clients. Instead of simple banners, the new blog offers readers a more curated editorial experience that features sophisticated lookbooks and shoppable content. 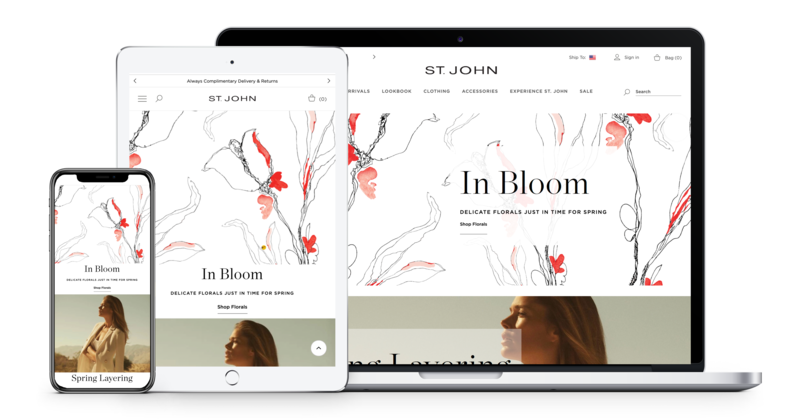 We then installed and developed custom Bluefoot content management sections throughout the site, allowing St. John to quickly and easily create and repurpose templates for their own promotions and product launches. Bluefoot’s drag-and-drop functionality requires little technical expertise and is perfect for teams that need to manage a lot of content on their own, without relying on support from other departments or developers. To further streamline St. John’s online operations and ensure omnichannel capabilities, Corra implemented GoDataFeed to streamline the management, optimization, and syndication of retail products. Already integrated with Google Shopping, Amazon, Walmart, and some 200 other top sales channels, the suite allows merchants to spend much less time formatting, enhancing, and submitting product data. Its functions include the ability to consolidate product data from multiple sources; built-in data validation and categorization; code-free usage; continuous KPI monitoring and alerts; and ease of use. Corra has also worked with Nosto, which uses algorithms and big data to analyze hundreds of retailer data points in real time, to allow for extensive marketing personalization. The highly intuitive system allows vendors to create 1:1 multi-channel marketing campaigns based on individual customer behavior, all without the need of dedicated IT resources. For example, St. John can now drive up AOV on its cart page by recommending lower price-point items as “impulse buy” accessories. The brand is now driving 9 percent of its revenue through product recommendations on its home and PDP pages enabled by Nosto. The handy tool also boosts CLV through widgets in St. John’s order and shipment confirmations. Finally, the Corra team successfully integrated St. John’s ERP, Mi9 (formerly known as Raymark), and their CRM Blue Martini. As a result of Corra’s improvements, St. John’s customers can enjoy content faster than ever before, with average loading times reduced from 9 seconds to 4 seconds. Thanks to its visually appealing, responsive, and easy-to-browse new website, the iconic brand is once again well positioned to delight new and existing online customers.